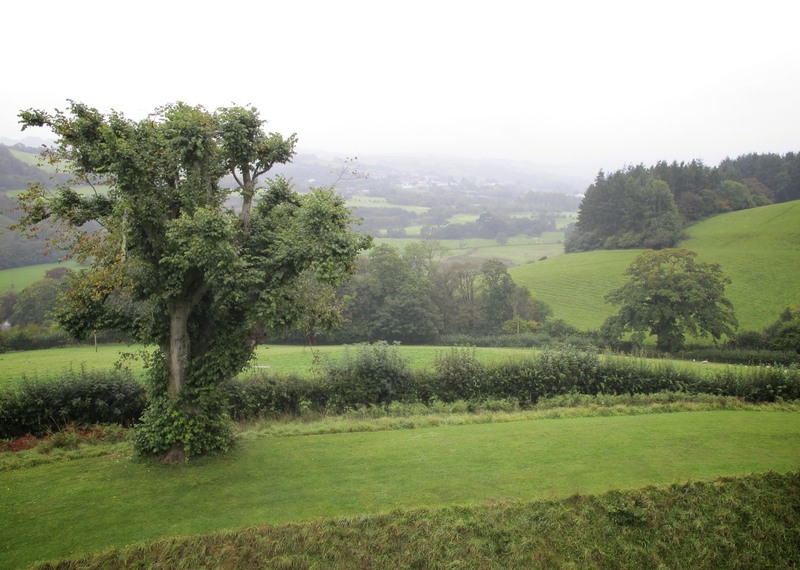 Hundreds of years ago someone imagined a life on hillside overlooking the River Fowey. 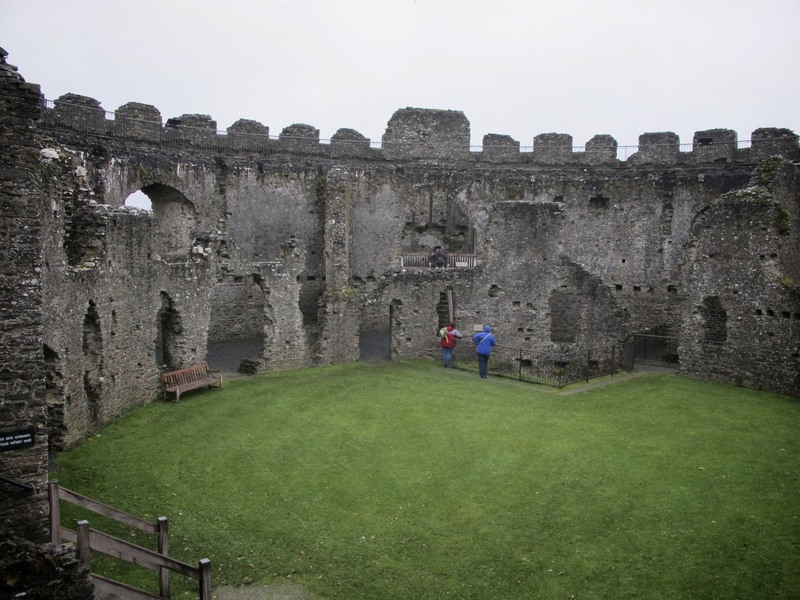 Not content with the natural height provided, they scooped up the earth to build a motte and bailey design castle. The first structure appeared around 1100 in what would eventually become the stone remnants you now see in the photo above. 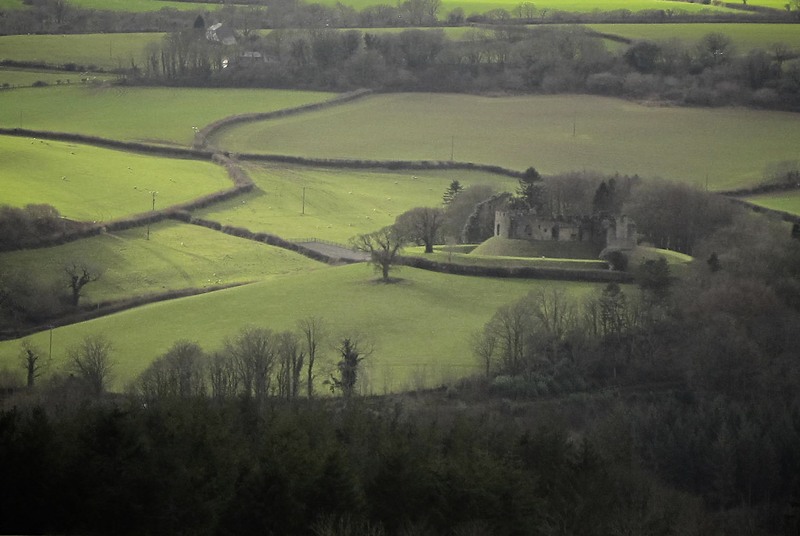 Restormel Castle in Cornwall is considered one of the best remaining examples of a motte and bailey castle and according the English Heritage site, one of 70 remaining in Britain. When my best girlfriend Patrice came for a short visit in 2011, she had a list of things that she wanted to do while she and her partner Lisa were here for a few days. One of which was a visit to a castle. I took them to Sunday services on St Michael’s Mount and later John walked with us through the attached castle, but I wanted more for her. I wanted her to see a remote castle with no furnishings and few people, a place where she might have a moment alone to think about her mother who had died a few years earlier without going on the ‘Castles of Europe’ tour she’d always imagined she’d see one day. I remember Patrice telling me how she’d asked her mother if there was anything she wanted to do in the time she had left and how they had talked about castles before her mother began chemotherapy. 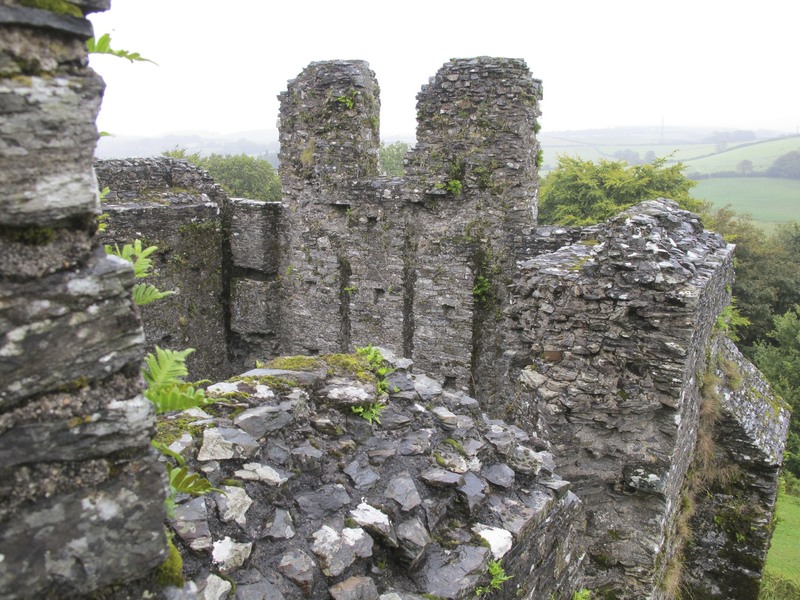 Her mother died without going on that trip so this was more than just another tourist stop for Patrice, it had a special meaning and while she didn’t mind which castle she saw, I wanted it to be really special and I had a feeling that Restormel Castle might be that place. When I see this photograph of Patrice, I can almost hear her saying, ‘I’m here, Mama’ as she pauses in the first entrance to the castle. 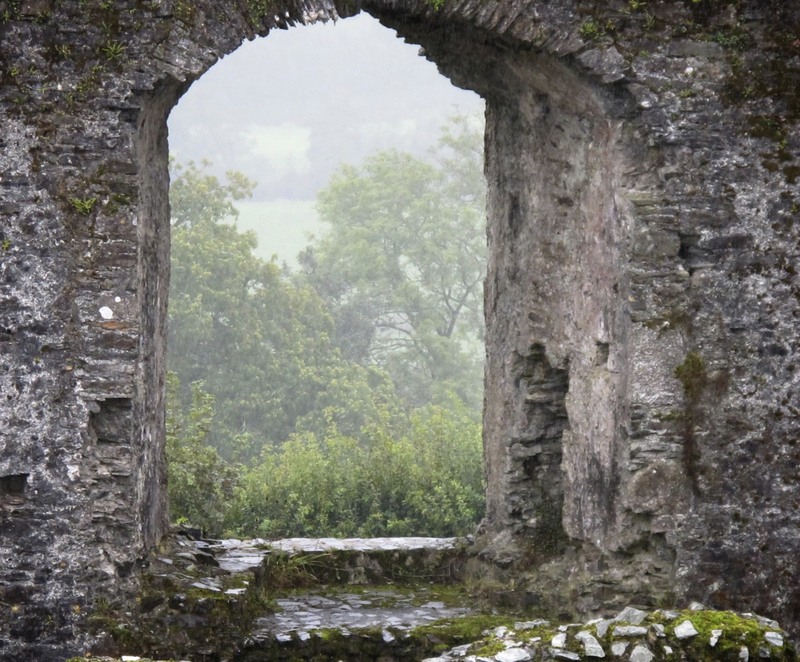 You can see a second entry point into the castle where the person in blue is walking under the arch. 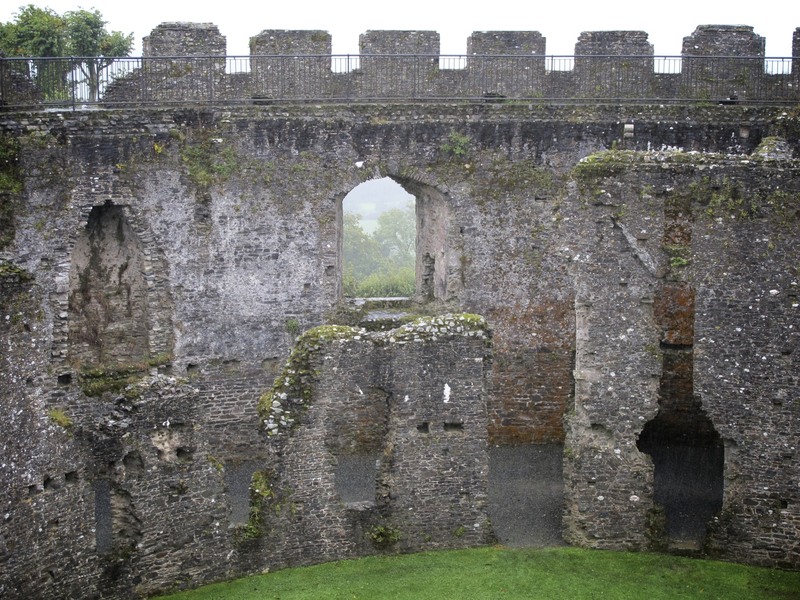 The gatehouse was originally three stories high but was partially dismantled during the Civil War. 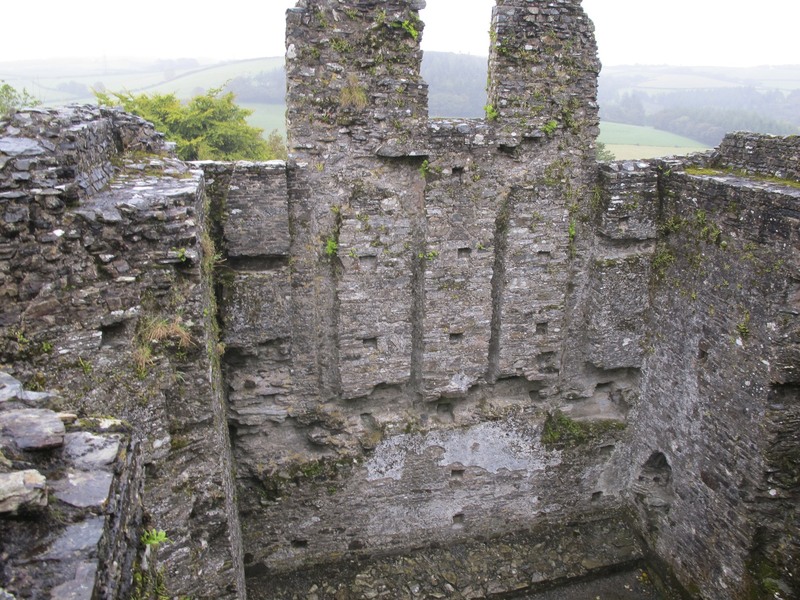 I found the history of this building style fascinating when I researched Restormel Castle. If you’d like to know more, I have done some of the work for you by providing the highlighted links above. You can see the entrance to the chapel in the center of the photo above. The chapel projected out past the circular structure and had points of entry from smaller side doors. Looking to the middle left of the photo above, you can a side entrance to the chapel as well as an arched entry leading directly into the sanctuary. Here’s a shot looking mostly down into the space. I’m afraid these images are not my best work as it was wet and windy shooting that day, but perhaps you can still get a sense of the space. 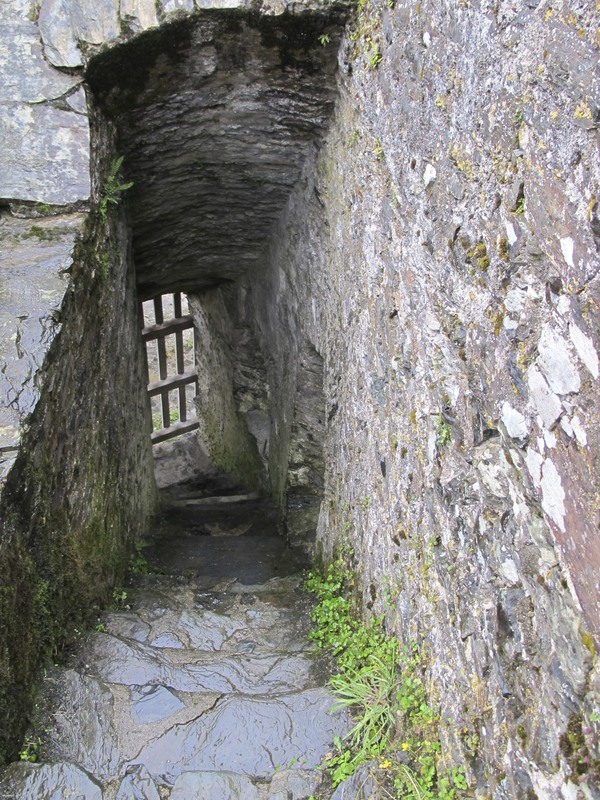 From this angle so you can see how thick the walls are and get a glimpse of the lovely view from the castle walls. There are stories about a dungeon, but I’m not sure they are more than stories. There are stairs which lead to all kinds of hidden areas like this one with Patrice. I said she looked like a monk from a distance with her dark hood up to avoid the rain so she assumed a prayerful position at the end of a moss-covered passage way. 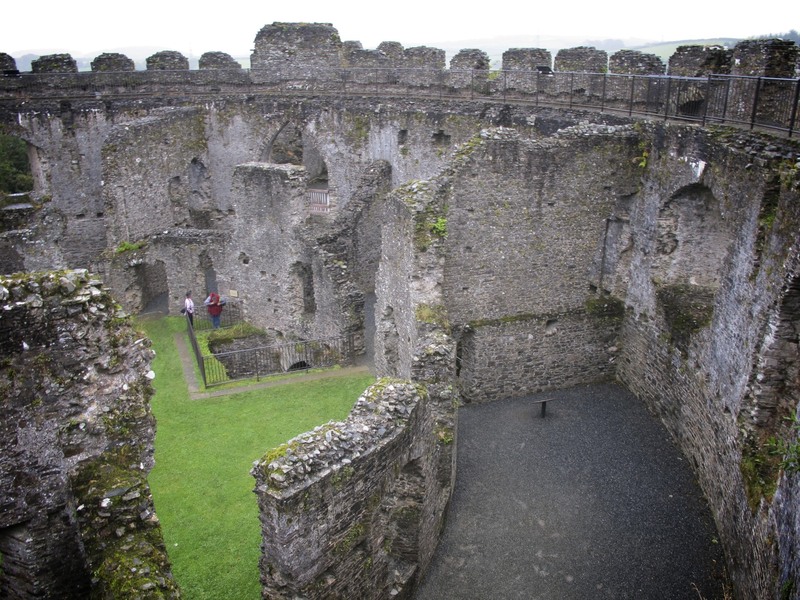 In this photo, you have a window in the center with an open space to the left where a fireplace once stood. There’s a matching window (not seen here) on the other side of the fireplace shell. I wondered how many faces must have looked though these great stones windows over the last 800 or 900 years and thought about how the view must have changed along with the ownership of the castle. My imagination goes wild thinking about the lives of those privileged to have been able to stand or sit near the windows in a room with such an important function. 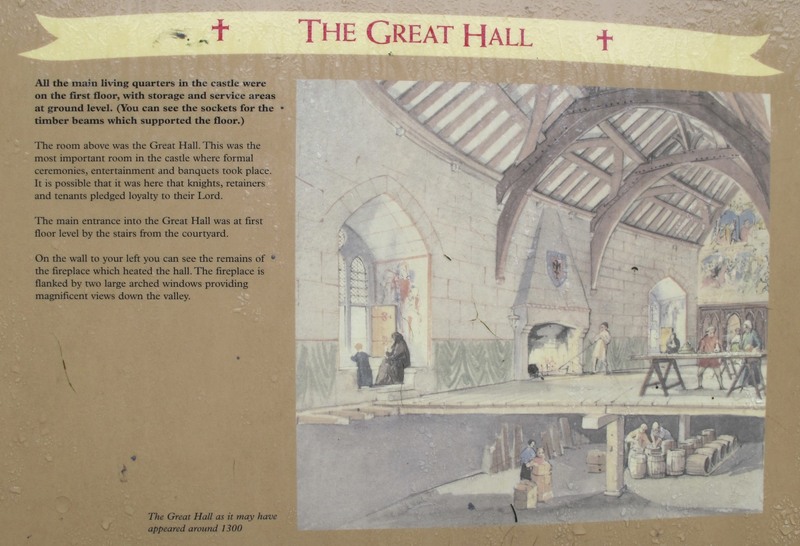 You can see how the windows and fireplace might have looked in the great hall by double clicking on this image of a plaque from the castle grounds. 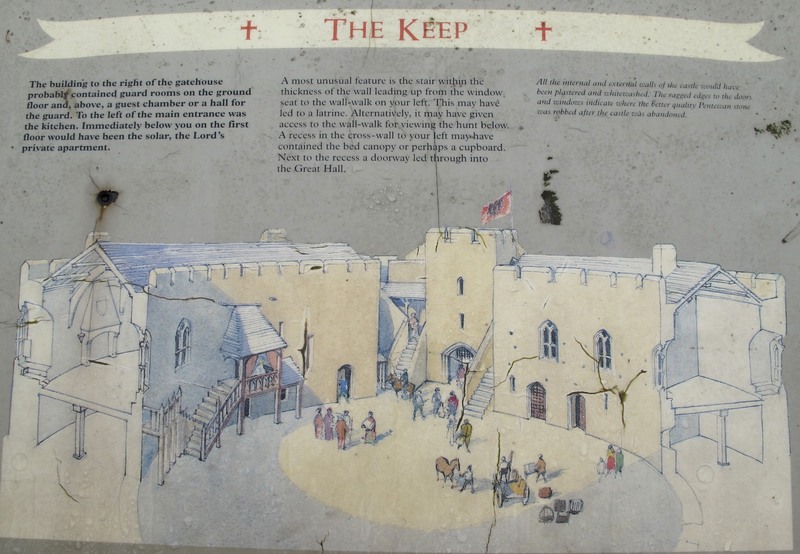 Here’s a last look at what the interior of the keep might have looked like. You can see the window outline and the fireplace off to the left in this photo of one of the English Heritage information plaques. I usually take a quick photo of these to use later as a reference when I want to do more research online at home. I thought these might be helpful for this post. 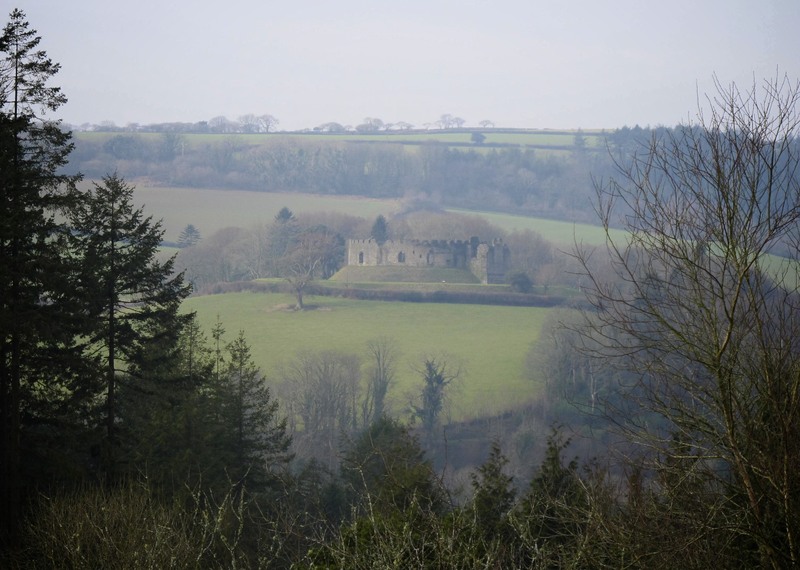 One more shot of Restormel Castle from a distance … the first and last photographs were taken during the last week and all others in September 2011. It was good to help Patrice complete a goal that had been one of her mother’s dreams. 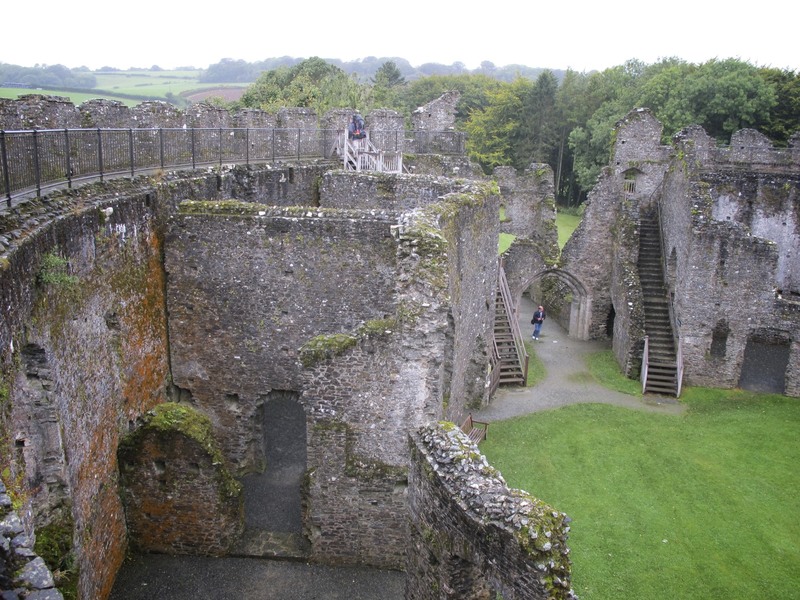 Two castle visits may not have been the ‘Castles of Europe ‘ tour her mother dreamed of, but walking through Restormel Castle and St Michael’s Mount, I can’t help but think that Patrice’s mother would have had a little chuckle to see her daughter fulfilling a few of mom’s unfinished dreams. I imagine most of us have something like that. 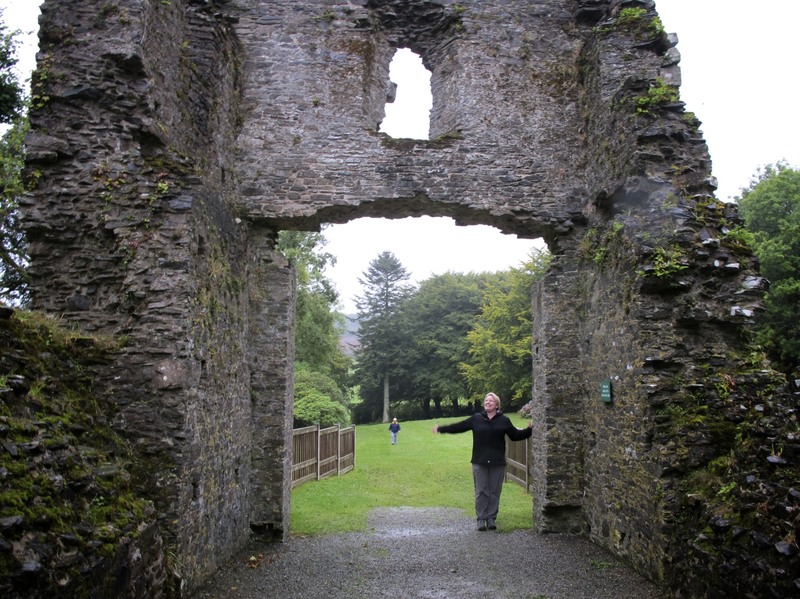 There are so many places I see living in the UK that I know my dad would have loved to see himself, but the thing I feel most keenly is the connection he and I shared with writing and imagination. My father left a fair amount of unpublished words and ideas and at least one story he wrote for his daughters. I know he would have been a big fan of my writing (being my dad) and would have encouraged me to go beyond the limitations of my blog. I hope to manage that one day and do something that he, like Patrice’s mom, never had a chance to do himself. How about you? Are any of you secretly hoping to complete a dream desire that someone special to you can no longer do for themselves or maybe one like mine that you shared with a parent or other loved one? 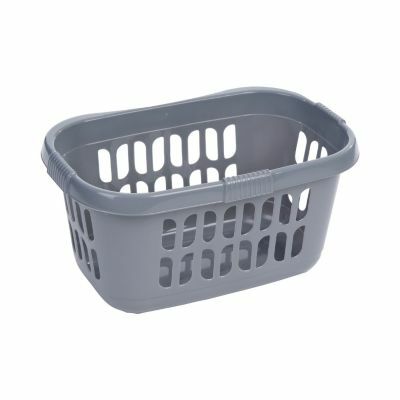 Laundry baskets used to be the catch-all for all odds bits of stuff in my life and while they do sell them over here, I’ve not been in a mad rush to go out and buy one. That’s right … there are no laundry baskets at all in this house. In my previous life, clean clothes rarely seemed to make their way out of the baskets and into the dresser drawers. I’d fold the clothes, put them back in the basket, carry the basket to the appropriate room, and there it would sit until it was practically empty because I hated putting up laundry. These days,with no laundry baskets in the house and no tumble dryer for me to hit the refresh button, things tend to go directly they belong. An added benefit to our no basket approach is I no longer have a place to stash miscellaneous stuff to sort out later. It either goes into the proper place for it or it finds a new home. 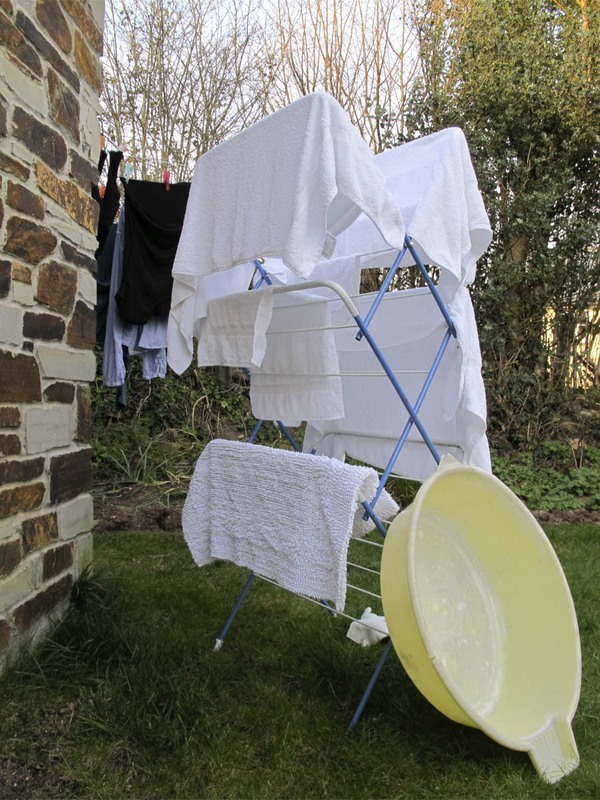 You may be thinking with only a drying rack and an outdoor clothesline … how do they transport the wet stuff? I snapped the photo below the other day to show you how we do it here. The sun was shining so it we had a big wash day and after filling the clothesline you can see hanging in the very back, I moved the drying rack outside too to take advantage of the weather. When you live in a place with frequent rain and no dryer by choice (John’s choice, not mine, but I’ve adjusted) you learn not to put things off. And with only one very old baby’s bathtub to get the wet stuff from washer to clothesline, it gets used and put away afterwards so it’s always empty and at the ready for a good wash day. John’s been using his niece’s old bathtub to transport washed clothes outside to the clothesline since he found it in his dad’s attic after his father died in 1997. The plastic bathtub’s former occupant turned 29 earlier this week and while she looks great, the plastic on the tub is beginning to crack. If I know my ‘use it up or wear it out’ husband at all, I’m betting we’ll use it another year or two before we buy something more traditional like the one below. Having had time to learn the new behaviors I mentioned above, I think I’ll be okay having a laundry basket in the house again, but only if we stop with just one.